Playing down reports of recent Chinese incursions, India on Saturday said the situation was not 'alarming' and that both countries were keen to maintain peace and tranquility on the border. 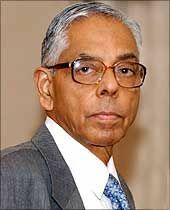 National Security Advisor M K Narayanan cautioned in a television interview that media 'hype' could lead to 'unwarranted incident or accident' that could create problems with the neighbour, which should be avoided. He said there was 'hardly any increase' in the number of incursions and 'the situation is not alarming'. In Chennai, Army Chief Deepak Kapoor spoke in a similar vein. "There is no cause for worry or concern," he said. "Prime Minister (Manmohan Singh) has made a statement on Friday that there has not been any more incursions or transgressions as compared to last year. They are almost at the same level," he said, asking the media not to over hype the matter. Dr Singh, on Friday, appeared to play down reports of Chinese incursions and said was he in touch with the highest levels in China. In Istanbul, External Affairs Minister S M Krishna said it was in the larger interest of both India and China to settle the boundary issue so that peace and tranquility is maintained on the Indo-China borders. Asked about the Chinese incursions, Foreign Secretary Nirupama Rao said in Delhi, "As far as this question is concerned we remain in constant touch with China on all issues of bilateral interest and our relationship has matured over the years which is multi-dimensional." The leadership of both countries are in contact and 'the communication remains at all times', the Foreign Secretary told media persons. She said contrary to public perception, the situation along the LAC has been "peaceful and tranquil". To a question, she said no meeting has been planned between Dr Singh and his Chinese counterpart Wen Jiabao on the sidelines of the G-20 Summit in Pittsburgh next week. On incursions, she also said there has been a media "hype" and "intensification" of volume in reporting in the media on the issue. "But on the basis of ground realities, my appreciation of the situation is that there is no significant increase in incursions along the LAC on all borders with China," she said. In his interview on CNN-IBN, Narayanan disagreed that China was trying to put pressure saying 'India of 2009 is not (India) of 1962'. He said both nations are keen to maintain peace and tranquility on the borders.